Fall is upon us, which means it is pumpkin season. I have already had several PSL's from Starbucks, but I wanted to branch out with my pumpkin drinks. 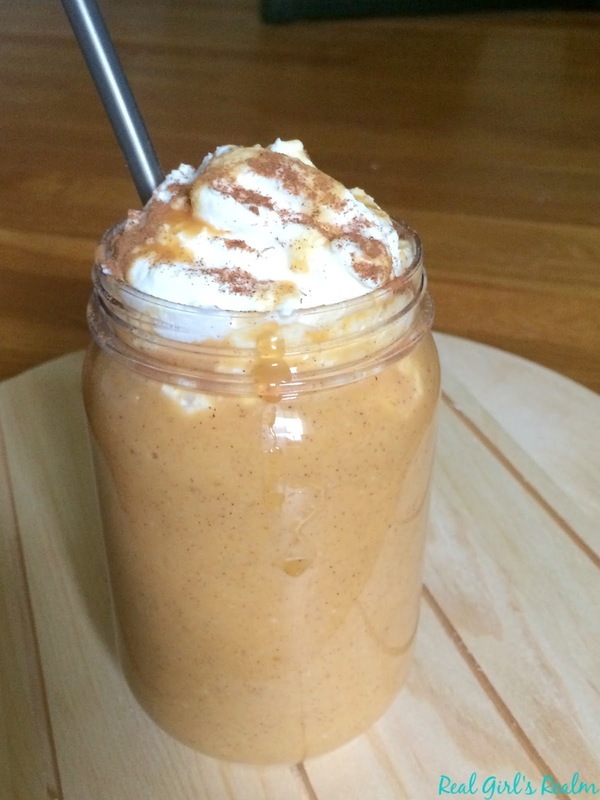 We love to drink smoothies at my house, so I got the idea to make a Pumpkin Pie smoothie. This is the perfect drink for breakfast or after a workout. It is so easy to make and you probably already have most of the ingredients on hand! 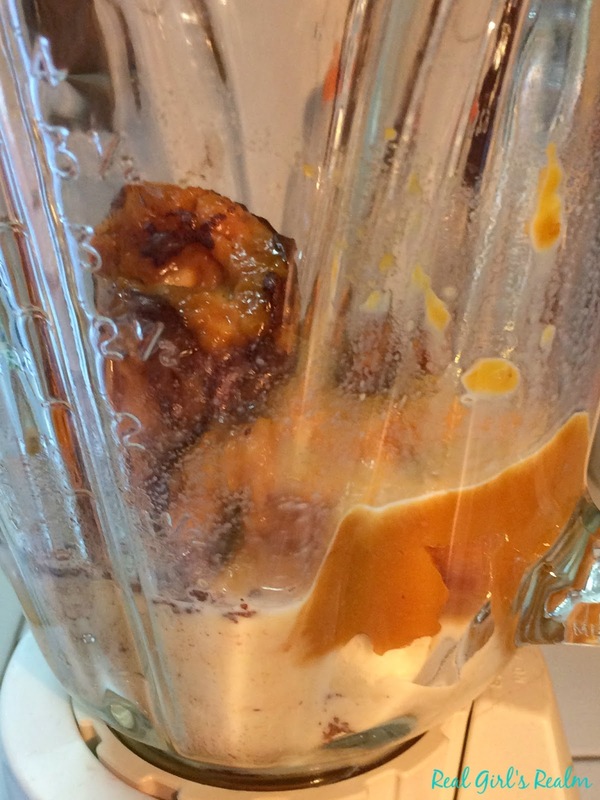 Combine all ingredients in the blender and mix until smooth. If you do not have time to freeze the banana, just add a few ice cubes to give it the frozen consistency. 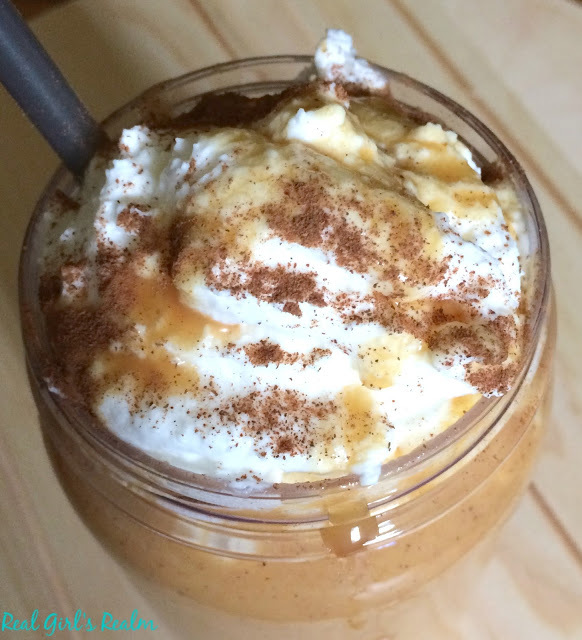 Serve in a mug and garnish with whipped cream, pumpkin pie sauce, and a sprinkle of cinnamon. 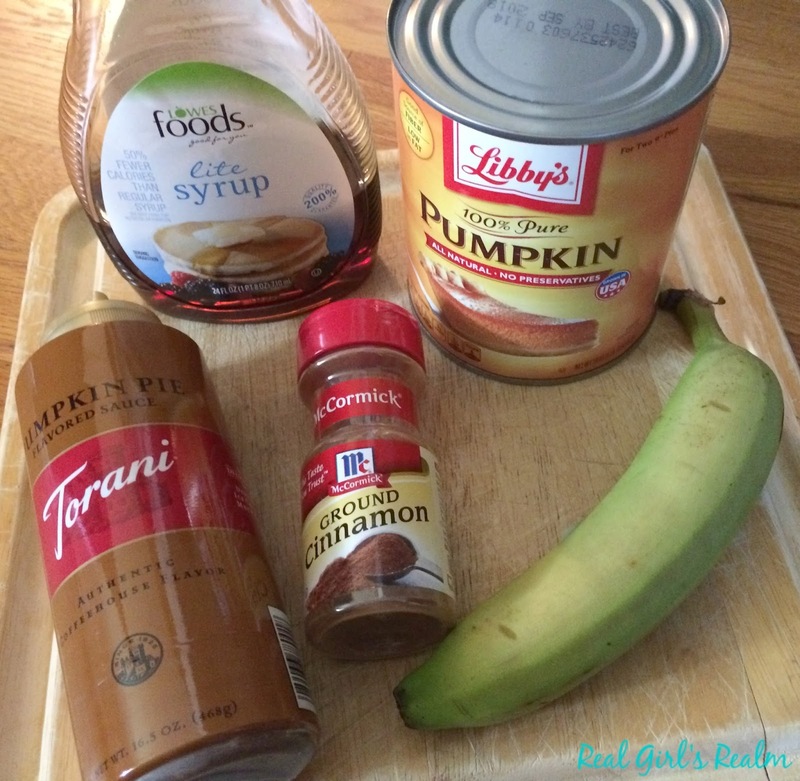 I was just going to use caramel sauce, but when I spotted the Torani Pumpkin Pie Sauce on a display at the grocery store, I had to pick it up to use instead! 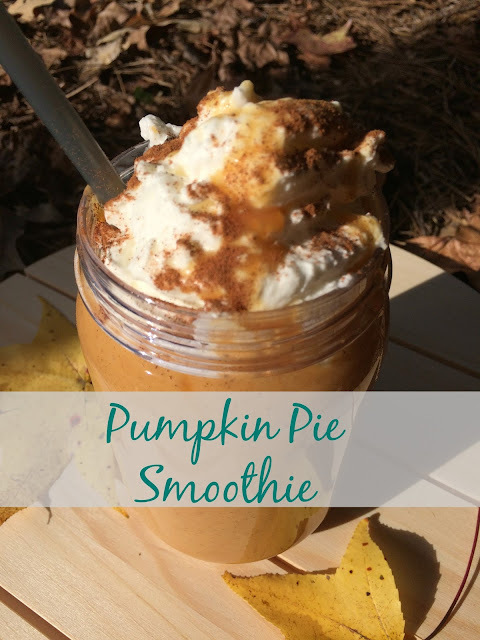 Even though this is not a substitute for the traditional pumpkin pie, it is a sweet treat and a way to sneak some healthy fruits and veggies into your (or your child's) diet! Would you try this? What is your favorite smoothie flavor? If you need more pumpkin inspiration, check out this massive roundup! You may also like my Salted Chile Caramel Latte. Looks like a complete dessert. I must try that. Not as sweet as Starbucks I'm guessing. It was really good and not that sweet. I'm going to have to make this for the kiddos! They love pumpkin! It was so good...and sneaks in fruit and veggies! Wow! This looks so amazing! I almost picked up that same Torani (and now I wish I had) because I totally want to try this! Erin, You should try this! This was totally an impulse purchases, but totally worth it! I have a Paleo one that I make and love. In fact, I may have to make it tonight!